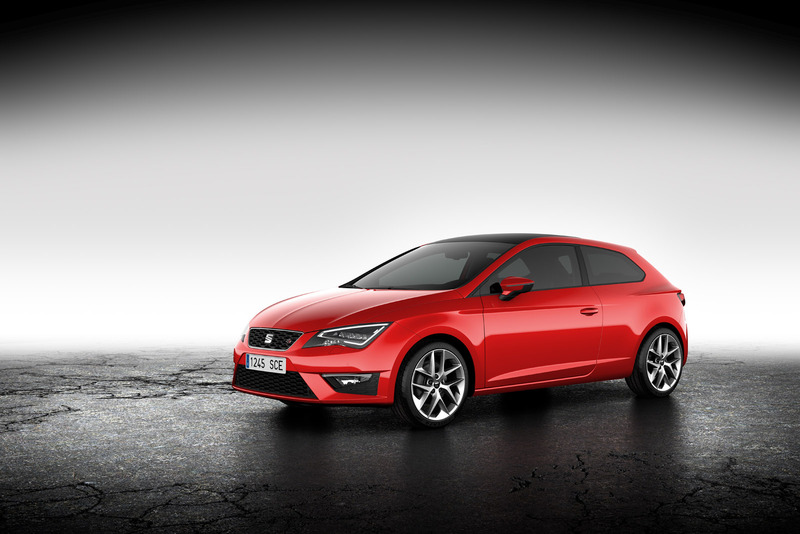 SEAT Leon SC carries its distinctive character with confidence. The Leon SC – Sports Coupé – is a striking three-door compact is the perfect embodiment of the SEAT design language. It brings an extra portion of sportiness to the road – without compromising everyday usability. Its functional interior, a compelling mix of excellent workmanship and premium materials, offers plenty of room for all occupants. At 380 litres, even the luggage compartment is as generously proportioned as that of the five-door variant. The new SEAT Leon SC is packed with high technology – this includes state-of-the-art infotainment, intelligent assistance systems, systematic lightweight design, a perfectly tuned chassis and the latest generation of engines. All engines feature direct injection with turbocharging, and combine outstanding efficiency with refined dynamics. The TSI and TDI units with displacements ranging from 1.2 to 2.0 litres cover a performance spectrum of 63 kW (86 HP) to 135 kW (184 HP). The 1.6 TDI with 77 kW (105 HP) equipped with the start/stop system has an average fuel consumption of just 3.8 litres of diesel per 100 kilometres, equating to a CO2 figure of just 99 grams per kilometre. Just like the five-door Leon, the Leon SC is offered in Reference and Style equipment lines, as well as the sporty FR variant. 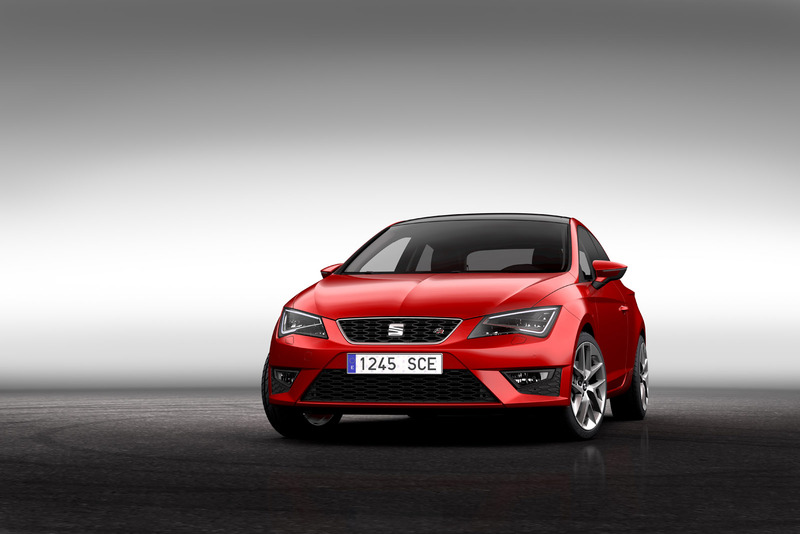 With its perfectly balanced proportions, the new SEAT Leon SC cuts a fine figure from the very first glance. The relationship between its length, height and width, plus its short overhangs, convey its dynamics even at a standstill. Inspired by the design language developed through the IBE, IBL and IBX concept vehicles, the three-door compact car is the dynamic interpretation of the SEAT design language. Compared with the five-door Leon, the wheelbase of the new Leon SC is shorter by 35 millimetres. At the same time, the distinctive window graphic, which sees the lower rear edge pulled downward, has the visual effect of stretching the car’s 4.23-metre overall length. This gives the Leon SC a look that is sporty and powerful, yet very compact. All the exterior lines have a surface treatment that works in three dimensions, making the design even more distinctive and generating a fine interplay between light and shade. On the new Leon SC, too, the front end is characterised by the “arrow face” design. All lines stretch toward a single point that lies at front of the vehicle. The clear and stable geometric form of the triangle is a fundamental element of the SEAT design language and is evident in many places throughout the new Leon SC. The triangle plays a critical role in the headlamp design, too. The lights are integrated perfectly into the sculptural form of the Leon SC – their sharp line a typical SEAT feature. The optional full-LED version with its powerful illumination makes the Leon SC a technology pioneer. The innovative full-LED headlamps, which are available for the first time in the compact segment, consume less energy and have an extremely long lifecycle. Their colour temperature of 5,500 Kelvin is similar to that of daylight, putting less strain on the eyes. 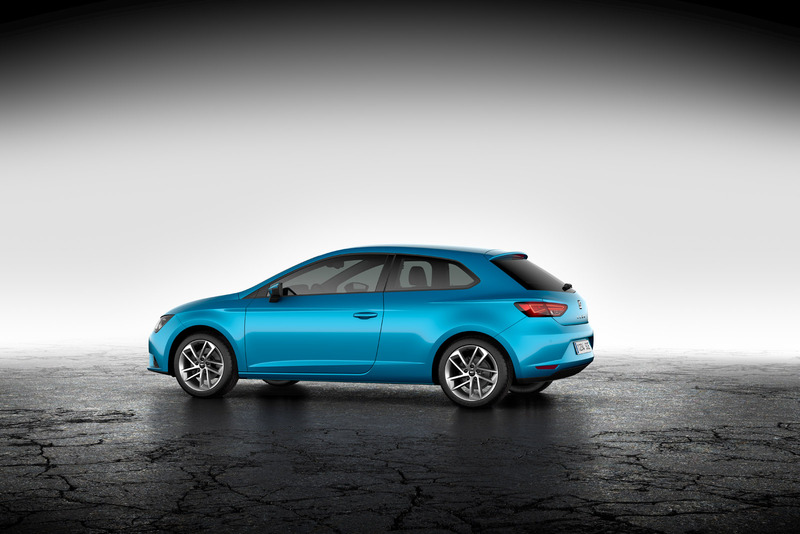 The side profile of the new SEAT Leon SC displays a balanced relationship between metal and glass surfaces – vertically, this is around one-third glass to two-thirds body surface. This emphasizes the solidity and underscores the car’s solid stance. The characteristic, interrupted “Línea Dinámica” runs rearward over the wheel arches. The precisely sculpted “blisters” on the sides are not completely straight, running instead in a very slight arc to increase the tension. The expansive rear windscreen, with its coupé-like sweep is 19º more inclined compared with the five-door and has the form of an up-turned, stylised pentagon and marks a further characteristic feature of the new SEAT Leon SC. The new SEAT logo symbolises the core values of the brand – purist design and a high standard of workmanship. The Leon is the first model to bear the new logo – on the front, on the wheels, at the rear and on the steering wheel. The self-confident dynamism of the exterior continues into the interior of the new SEAT Leon SC – it looks uncluttered, bright and clean. The materials are of the finest quality and the craftsmanship first class. The soft-touch surfaces are exquisite, while some versions feature the added premium appeal of chrome and leather applications. The space for the driver and front-seat passenger has a clear and harmonious design. The uncluttered, almost purist cockpit design is laid out perfectly for the driver; all switches, buttons and levers are where he/she would intuitively expect to find them. The large instrument dials are easy to read, while the driver information system is already standard from the Reference line. Multi-function controls are available for the finely crafted steering wheel, which bears the new SEAT logo on its airbag cover. The newly designed seats are sporty and extremely comfortable for people of all sizes. 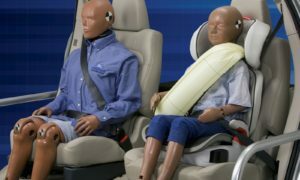 Driver seat height adjustment is fitted as standard across all grades, while passenger seat height adjustment is an option on the Reference grade and standard on the Style grade. The seats guarantee the very best grip under dynamic driving conditions and are extremely comfortable over long distances. 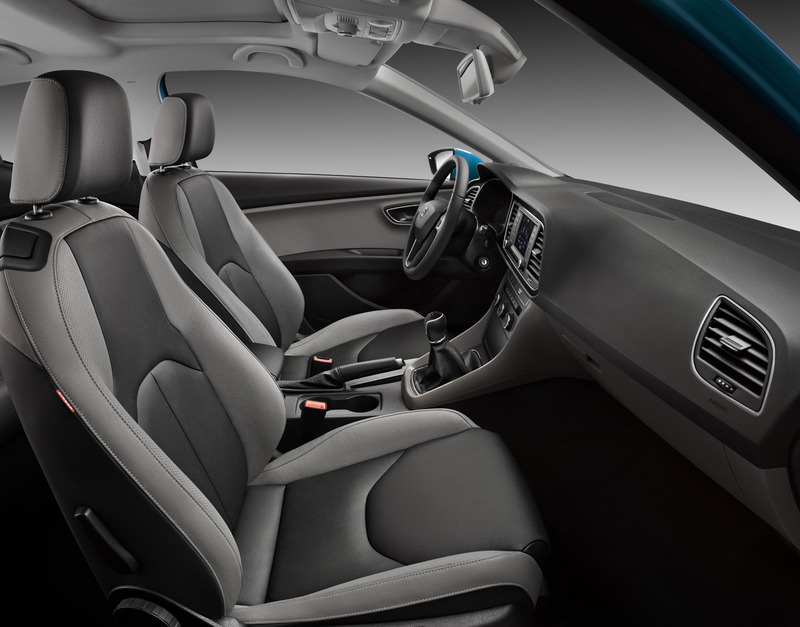 A host of beautifully designed details underscore the high level of craftsmanship in the new Leon SC – details such as the air conditioning controls, the large air vents and the three-dimensionally formed trim. The luggage compartment has a volume of 380 litres, marking a leading figure in this class. 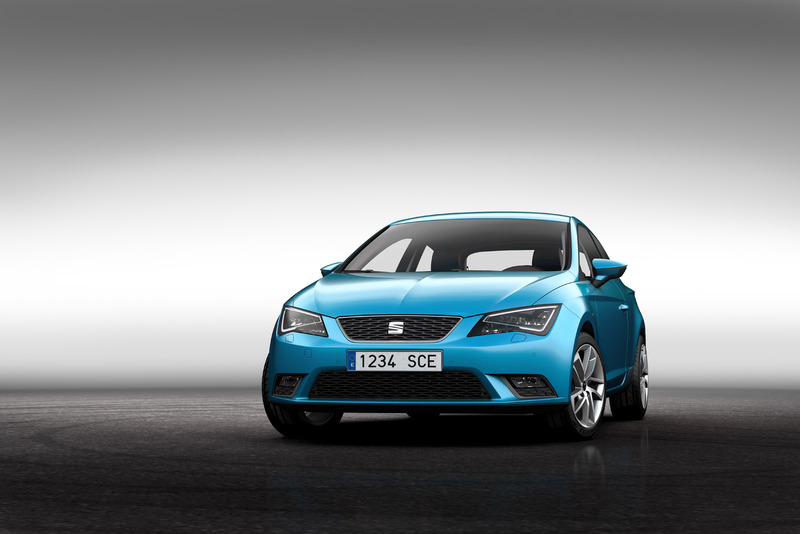 SEAT is bringing the new Leon SC to market with a wide selection of state-of-the-art infotainment solutions. They are based on the SEAT Easy Connect operating system, which features a touch-sensitive screen for control of the entertainment, communication and navigation functions, as well as a variety of other vehicle functions. The touchscreen, which measures up to 5.8 inches, and its associated buttons and rotary controls, is located centrally between the two centre air vents. For both the driver and the front-seat passenger, it is easy to read and to reach. And, for the first time, the top versions feature proximity sensors, to make operation even more intuitive. The new SEAT Leon SC is launched with a series of powerful and efficient TDI and TSI engines ranging in displacement from 1.2 to 2.0 litres. All engines feature direct injection and turbocharging and are set up for rapid warm-up and low internal friction. The 1.6 TDI generates 77 kW (105 HP) and 250 Nm of torque. When equipped with start/stop and recuperation systems, it consumes an average of just 3.8 litres of diesel per 100 kilometres, equating to 99 grams of CO2 per km. The 2.0 TDI, which drives the Leon SC with a powerful 110 kW (150 HP) and 320 Nm of torque, consumes a mere 4.1 litres of fuel per 100 kilometres. 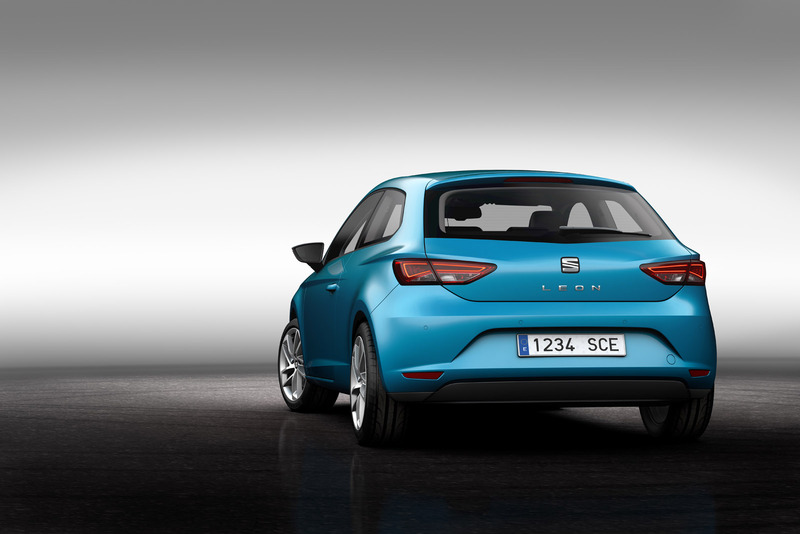 When it comes to the TSI engines, the Leon SC starts with the 1.4 TSI. The new-generation power unit generates 90 kW (122 HP) and delivers 200 Nm of torque. The engine comes with start/stop and recuperation as standard and consumes just 5.2 litres of petrol per 100 kilometres, equating to 120 grams of CO2 per km. The 1.2 TSI is available in two versions with 63 kW (86 HP) and 77 kW (105 HP). 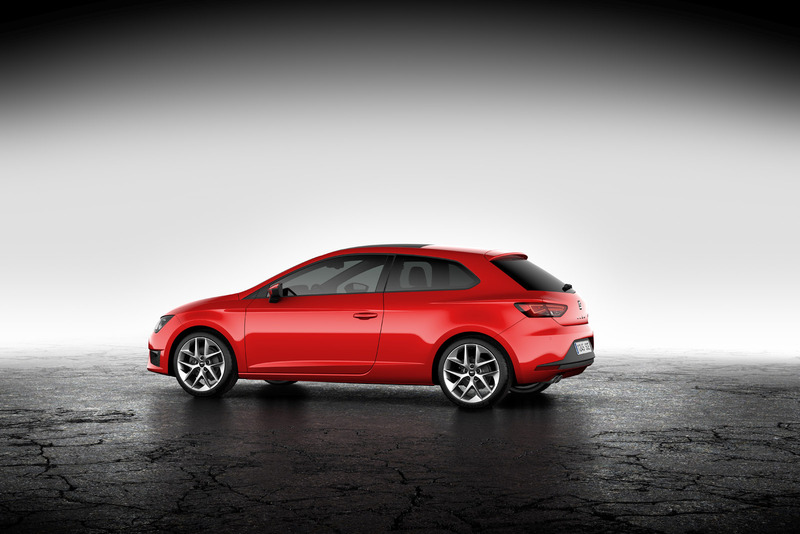 The Leon range is further enhanced by a 1.4 TSI with 103 kW (140 HP) and a maximum torque of 250 Nm. Its average fuel consumption stands at 5.2 litres per 100 kilometres, with a CO2 figure of just 119 grams per km. The highlight of the petrol line-up will be a 1.8 TSI delivering 180 HP and 250 Newton metres and is scheduled for arrival in the course of 2013. The diesel range is completed by the 1.6 TDI with 66 kW (90 HP) and the new 2.0 TDI with 135 kW (184 HP) and 380 Nm. Depending on the engine variant, power transmission is handled by a manual five or six-speed gearbox or by the compact and lightweight DSG dual-clutch gearbox. It changes its six or seven gears at astonishing speeds and is exceptionally efficient. A freewheeling function is integrated into some versions to reduce fuel consumption even farther. 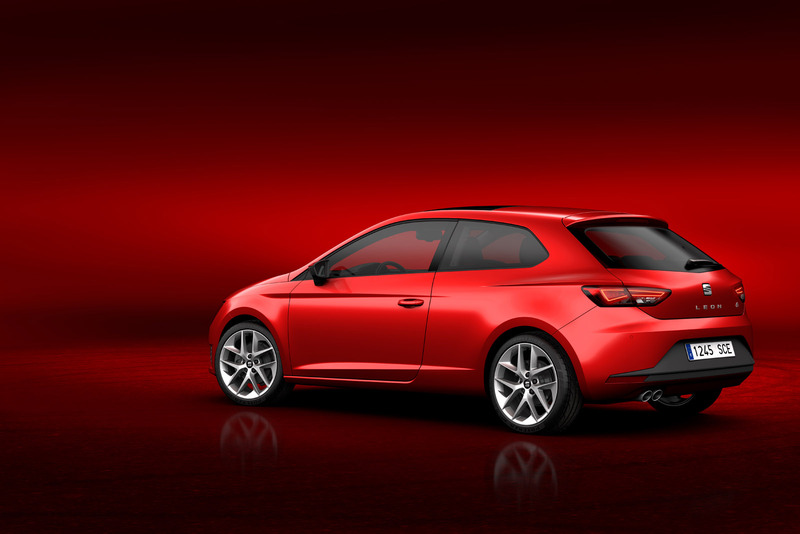 The running gear, too, plays a role in the enhanced dynamics of the new SEAT Leon SC. The steering has refined, calm directionality and a fine level of feedback, while the suspension smoothes out all manner of uneven surfaces. At the front is a McPherson strut arrangement mounted on a sub-frame, with a torsion bar suspension at the rear for engine variants up to 110 kW (150 HP). The top variants feature a multi-link construction that handles longitudinal and transverse forces separately. 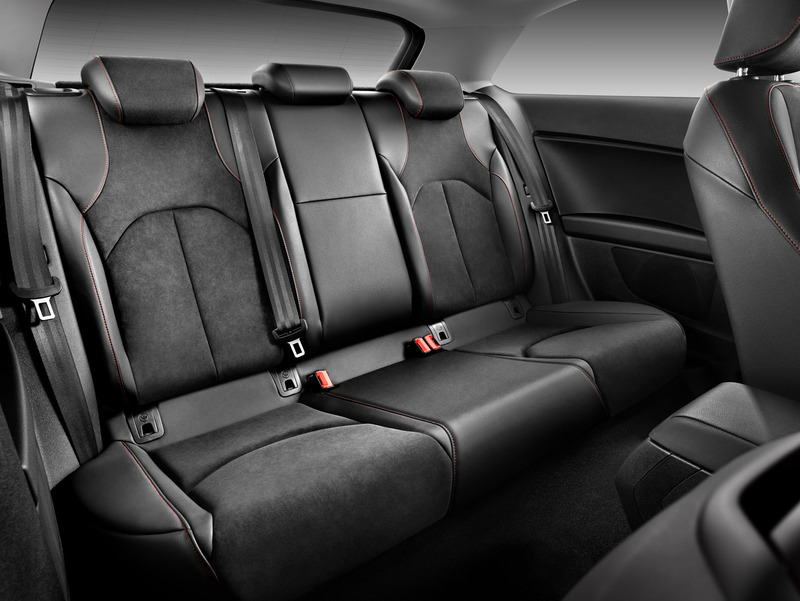 In the SEAT Leon SC FR, the new SEAT Drive Profile offers the chance to adapt the setting to suit individual preferences. It allows the driver to vary the characteristics of the power steering, throttle response and engine sound, which is modulated via a sound actuator, across three modes – eco, comfort and sport. There is also an additional individual setting. Additionally, in sport mode, the discreet interior lighting in the door panels change to a red hue to give a more dynamic feeling. 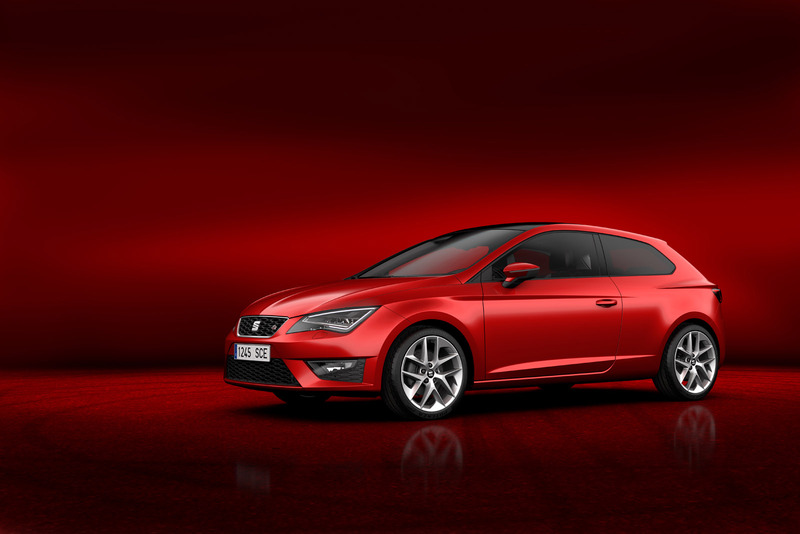 SEAT engineers have packed the new Leon SC with state-of-the-art driver assistance systems. A camera on the rear view mirror controls the Lane Assist system, which corrects the electromechanical power steering before the driver crosses a lane marking. The full beam assistant, which automatically switches between full and dipped beam, is also camera based. A further vigilant assistant is drowsiness detection – it registers diminishing driver concentration and suggests taking a break. A further significant safety system that is also standard equipment in the Leon SC is the multi-collision brake, which helps to avoid secondary collisions in the event of an accident.